The point is aesthetic rather than utilitarian, but it does exist. Curtains border a window on only two sides. With a valance added, the treatment surrounds the window like a picture frame, which attracts the eye. If you get the curtains and the valance in the same medium to heavy fabric, like chenille, it’s an old-fashioned, stately look, ideal for older houses – or, for that matter, new ones with an older design. 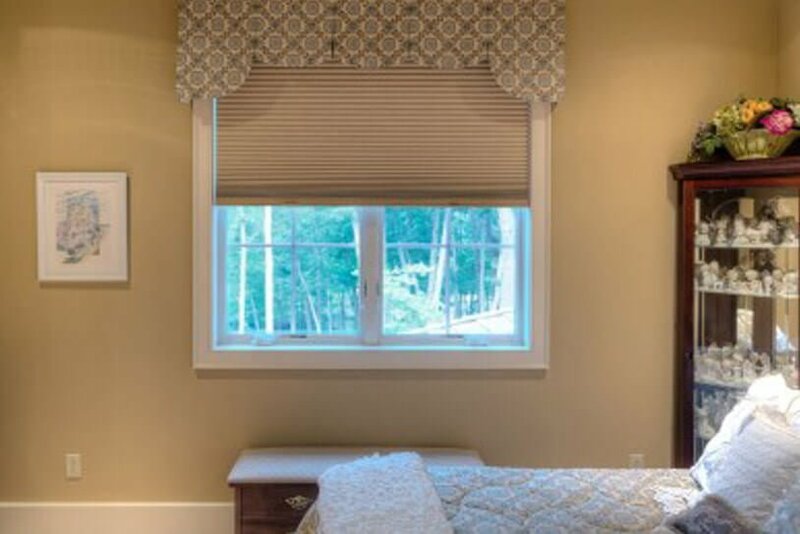 Over blinds or shades, a valance can add visual relief. If your windows have white blinds, a brightly-colored valence might be the easiest way to spruce things up. This is a good look for a young child’s room, since it makes the space look immensely more cheerful, while being out of reach of all but the most determined children. You can also let valances stand alone. If you want a light, airy space, but don’t want the room to look unfinished or like you forgot to buy window treatments, try a single valance in a sheer fabric, like lace, or a semi-sheer one, like lightweight polyester. Double rows of valances can look good on sash windows, with a short valance along the top of the window and a longer one along the sash. Try it with white cotton for a retro look, reminiscent of a small-town cafe. The opposite of a soft valance, in case you’re wondering, is a hard valance. You may also see them called box valances or fabric cornices. In a hard valance, the fabric is nailed or stapled to a three-dimensional wooden frame, so that it’s stretched flat instead of pleating or falling naturally. The frame sticks out one or two inches from the window, and is closed on three sides. Some people feel that their straight lines give a window treatment a more finished look, while others think that they seem too severe. Soft valances do, however, have a couple of distinct advantages over them from a design perspective. Soft valances, unlike hard ones, can be customized whenever you feel the need to change things up. If you have any sewing expertise, you can change up your soft valances in an afternoon by adding a new trim or edging – lace, ribbon, tassels, or anything that strikes your fancy. Even changing the way a valance hangs can alter its look. And sometimes, depending on the fabric, they’re machine washable. That means a win for convenience; you might be able to take it down and throw it in the washing machine if it gets dusty, instead of having to break out the vacuum wand extension. A good window treatment isn’t just functional. It reflects your personality, as well. So the next time you get window treatments, consider adding soft valances.